On the verge of my mid life crisis...about five years ago, while in Hawaii.... I discovered coconut water. 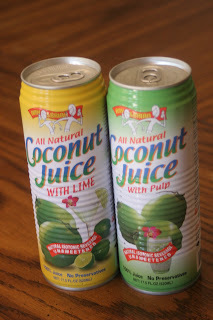 I fell in love coconut water and juice. Actually, I love everything coconut. 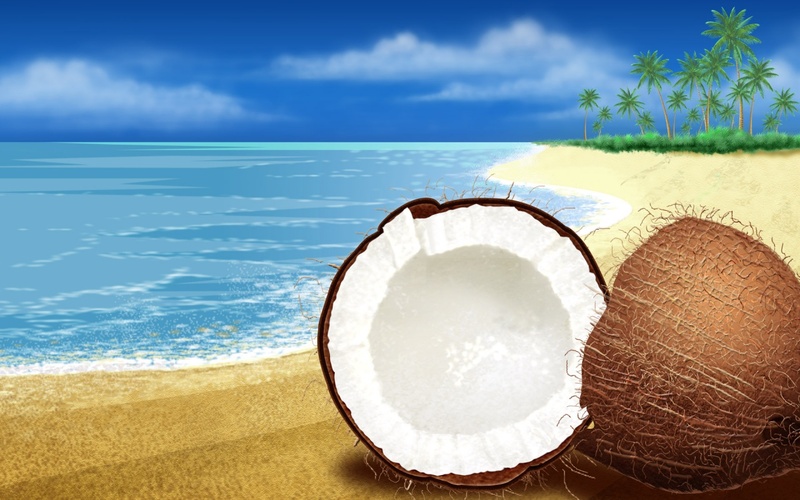 Seems logical that mermaids would love coconuts too? 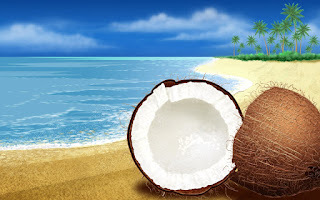 Coconut water or juice is the fruit of the coconut palm. This is my favorite kind. Amy & Brian's Coconut Juice: I am especially fond of the variety with pulp. There are many different brands and flavors however this is my favorite. I put it in my bike bottles when i ride. It keeps me hydrated and energized without weighing me down. I put in smoothies, it makes a good smoothie, great! (This may have been my greatest discovery this year.) I drink it before a workout and after, apparently it has more potassium and electrolytes than most sports drinks. I also drink it when i am dieting, it seems to help me get past craving sugar and specifically cookies (but don’t tempt me). My kids drink it. Aqua-man drinks it. What am I saying? I am addicted to it and drink it all the time! If you do not like coconut water or juice we may not be able to be friends. So drink coconuts! Besides it is good for you. I drink it because it tastes freaking good! I bet my taste buds are really healthy and happy. Perhaps this is my mid-life crisis? I need a coconut shell bathing suit and a date with John Travolta. Love it! "Six-pack" abs without the crunches...yah baby. Somehow I don't think the coconut milk I use as creamer in my coffee qualifies though!